Stuck in a career or business rut? Perhaps it’s time for a change. This change can be in the form of a major career leap, a bit of a detour, or a tweak in your strategy. It may mean quitting your current job, making a real move toward that promotion, going after that passion project you’ve always wanted, opening your own business, and more. Whether the change is huge or small, one thing is for sure, though: It is difficult, tricky and frightening to instigate. So how do you take those difficult but necessary steps toward career change or improvement? Using meditation as a tool or avenue to positive change can help. 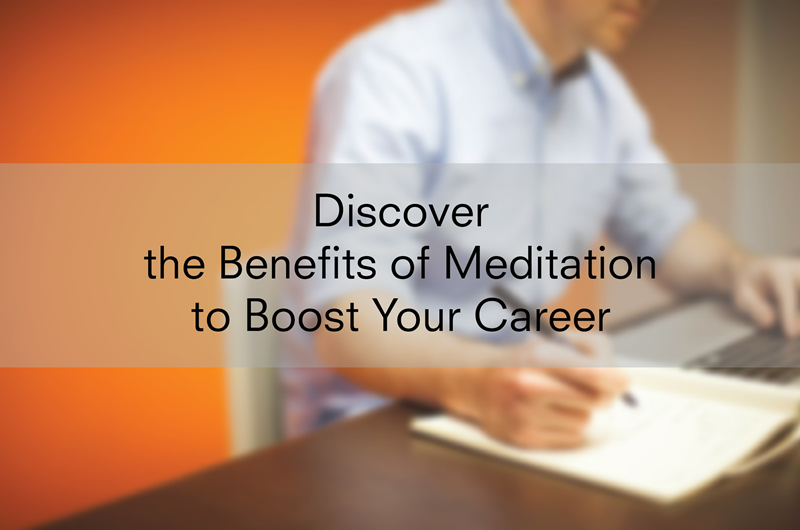 The most common benefits of meditation — including improved mental clarity, compassion, concentration and focus, and emotional control — can be your main drivers toward a successful career transition. Learning these skills will allow you to embark on a journey that will lead you to meaningful, rewarding career or business developments that you’ve always dreamed about. One of the best career-boosting benefits of meditation is that it teaches you to manage stress better. When change happens, the current system is shaken up and taken down. That’s why, when you’re in the midst of change, you face a high-stress environment. While some amount of pressure gets your energy and adrenaline going, you also want to make sure stress won’t overwhelm you. Through meditation, you avoid uncontrolled stress which can lead to health problems and mental and emotional issues. As you practice meditation, you get to learn how to let go of the things that bring stress to you, while being mindful of how they figure in your life. The result is a stronger, cleaner mind so you can remain calm, handle your emotions well, and use logic and empathy to make better decisions. Meditation is also one of the most effective tools for you to be clear about your intentions. For many people, one of the major blocks to landing the right career is they actually don’t know what they want or what’s good for them. With meditation, you learn to get rid of mind clutter, so you can have a sharper and clearer vision of your career objectives. Guided imagery allows you to be as specific as possible – from the type of work you’ll be doing, to how your workspace looks like, to the location and the view from your office window and more. The more specific you can be, the more targeted the actions you can take to achieve your goals become. Finding your ideal career and lifestyle requires a deep understanding of yourself, some amount of control over your internal and external environments, resilience over failure, a positive perspective of the world, and compassion for the people you encounter at work and beyond. Learn meditation and find the key to achieving these and more. Meditation helps in improving the way the brain works and also other aspects of the body. Meditation can help those who wish to have more ability in creating action, in self building and self confidence.